Education Management System is a comprehensive solution that is built on MS Azure to assist organizations handle off campus as well on campus operations in educational organizations. The product eases the tedious processing of student management, campus and hostel management, library management, employee management, finance management and Supplier Relationship Management. The solution has both academic and non-academic modules including students, fee, examination, library, attendance, canteen, hostel, campus, communication and alumni management which enable the overall education system to deliver the quality performance. The solution can be implemented within an educational institution that can rationalize overall operations, facilitate administrative excellence and offer the best opportunities for students and staff to gain a competitive advantage. The HR/Payroll with ESS modules deal with managing and controlling all aspects of HR and payroll inclusive of employees, recruitment, training, payroll, insurance, shifts, performance and appraisals. iWeb Technology Solutions is an innovative software solution provider that offers state of art IT solutions in both models, i.e. Software as a Service (SaaS) & Platform as a Service (PaaS). The company provides an array of software solutions helping organizations across activities like people relationship management, finance management, supplier relationship management, customer relationship management, manufacturing and education. With diversified software services, iWeb endeavors to provide incomparable management automation solutions and has partnered with companies like Microsoft, IBM, Intel, NASSCOM, Gartner and Ignita. the Academic-Core Module helps creating student lifecycle from registration till the course completion and maintains the profile of students efficiently. Record keeping for students’ fee collected and due can be maintained in a systematic manner so as for faster retrieval of records as and when required. Fine collection can be maintained well in the module and relevant reports can be generated as and when required. Courses can be created and allocated to students with detailed description & duration and appropriate records can be maintained effortlessly. The academic-core module allows the organization to keep track of examination processes, schedules and results. The module also helps generate rank lists as per the specified result criteria. Managing records for the books purchased, issued and returned can be efficiently handled using the Library management features in the Academic-Core module. The academic calendar can be defined in the EMS for the curriculum planning and scheduling. In addition, details of student attendance can be captured for record keeping and tracking absenteeism. Various student documents such as birth certificates, mark sheets, report cards, rank lists etc. can be retained and maintained in the EMS without a fuss of manual paper-work. The campus details and hostel facilities can be captured in detail and the software allows storing every minute detail including accommodation, mess, infrastructure, rooms, other facilities etc. These days the overall communication from the institutions is done via SMS may it be class schedule or PTM related. The Payment integration as well as all communication is enabled with the Academic-Core module so as to facilitate the communication and payment record maintenance. The records of all employees irrespective of their department or grade can be maintained efficiently in the Academic-Core module. These details can further be used by the payroll module, faculty allotment and many more submodules. The payroll management is the most crucial of all operations. All institutions have to maintain well-organized and most recent information of attendance, leaves, etc. of the staff. Payroll management module allows auto-calculation of the salaries and generation of payslips. With EMS, all accounting transactions can be recorded in the accounting module and accordingly various accounting reports can be generated as per the requirement. Tax calculation is quite challenging if the people handling the taxation are not expert at the same. EMS facilitates auto-calculation of the tax and keeping track of all investments. Q. What is campus management software? Q. Why campus management software is used? Colleges and universities of every size and mission are uniting departments and campuses, achieving goals for recruitment and retention, centralizing and automating financial aid and other administrative processes, and improving student services. Q. Difference between campus ERP and school ERP? Assessment:- The assessment process is one of the major differences between School and Colleges. In school, there is only this simple pass and fail concept, but college this concept is elaborated in three steps which convey different rules and regulations to pass and fail any student. In School ERP, status of each student is defined by the pass and fail on the basis of class, but in College ERP, status of each student is defined on each subject, for instance, it can be Pass, or have backlog in some subject and some also do have ATKT, this make the assessment module different from School’s assessment module. Attendance:- Attendance system of school and college varies in a major way. 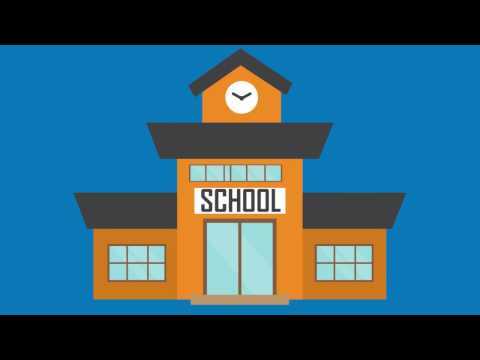 In school attendance system varies from school to school, for instance, some take only on time, some take twice during the first period and the second period. But college takes attendance in every subject individually and each of them is evaluated individually, not on the overall basis. Batch:- In school majorly batches are divided yearly, but at the college level, this yearly system is diluted down to a semester system in which half yearly Even and Odd semester system is applied. This batch makes an impact directly and indirectly on the attendance and assessment section. Although it is not much ERP is to be designed compatible with the process and functionality of individual institutes. Q. What are the benefits of campus management software? Increases productivity. The management system boosts the productivity of the institute. Reduction in the cost of communication. Q. What are the features of campus management software?